Free 30 Count CBD Gummies On orders of $100 or more. Looking for more CBD? Try out CBD Oil and CBD Cream! 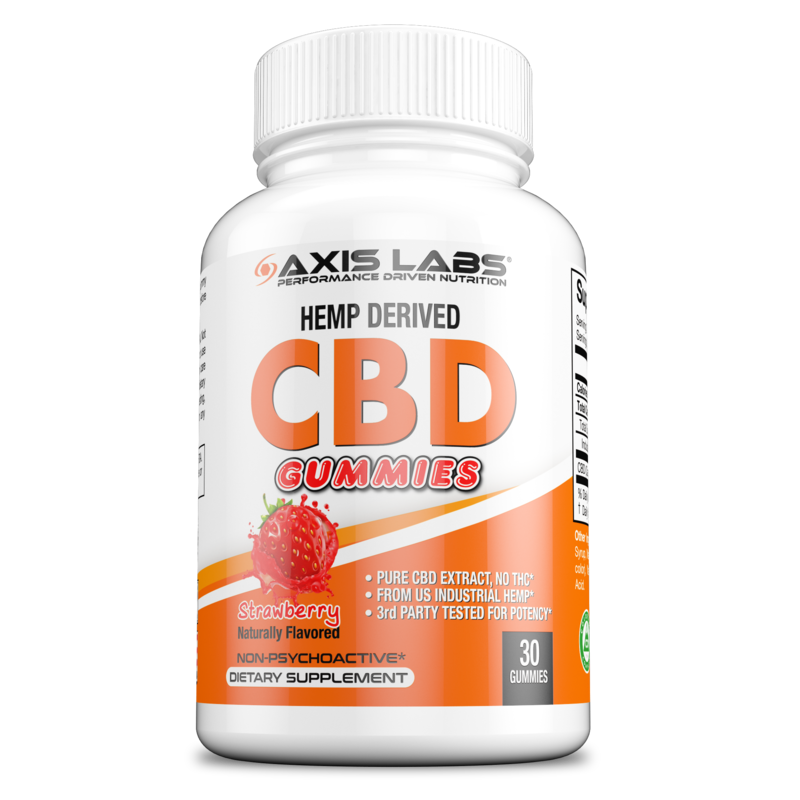 Axis Labs CBD Liquid Capsules are cannabidiol hemp oil capsules that have been made using natural, industrial grown, non-GMO hemp and MCT from coconut oil. Derived from U.S. grown industrial hemp, Axis Labs’ CBD is non-psychoactive and compliant with the Agricultural Act of 2014, also known as the 2014 Farm Bill, as well as the 2018 Farm Bill. Derived from cannabis plants, like our industrial hemp, CBD is popular for its healing effects. When derived from hemp, the oil is rich in naturally occurring CBD and has a near-zero percentage of THC. This balance promotes the positive effects of CBD, without the unwanted “high” of THC. Available in two sizes, the CBD Liquid Capsules from Axis Labs are of the highest potency, quality and available without a doctor’s prescription. Independent, Third Party Testing posted in the images above. Directions: As a dietary supplement, take one (1) CBD capsule one (1) to two (2) times daily, or as directed by a healthcare professional. Keep away from heat, light, and moisture as not to affect potency. WARNING: KEEP OUT OF REACH OF CHILDREN. Do not use if you are pregnant or nursing. Consult your health care professional before using this or any type of dietary supplements. If the user is subject to cannabinoid testing, consult with the requiring entity before taking this or any other dietary supplement. *These statements have not been evaluated by the Food and Drug Administration and are not intended to diagnose, treat, cure or prevent any disease. Most work-place drug screens and tests target delta9-tetrahydrocannabinol (THC) and do not detect the presence of Cannabidiol (CBD) or other legal natural hemp-based constituents. Even though our products contain less than .3% THC by dry weight (Federal Legal Limit), studies have shown that ingesting Full Spectrum Hemp can cause confirmed positive results when screening urine and blood specimens. Accordingly, if you are subject to any form of employment drug testing or screening, we recommend (as does the United States Armed Services) that you DO NOT take our products. Before taking our products, consult with your healthcare practitioner, drug screening testing company or employer. This website requires you to also be at least 18 years or older to purchase our products. *Cannabidiol (CBD) is a naturally-occurring constituent of the industrial hemp plant. Axis Labs does not sell or distribute any products that are in violation of the United States Controlled Substances Act (US.CSA).